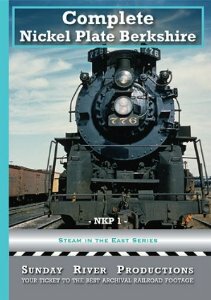 Sunday River has 4 volumes featuring Nickel Plate Road steam. This series are 2010 remasters. Recent technology does make a major difference on vintage film. The 700 class Berkshires are the main feature. 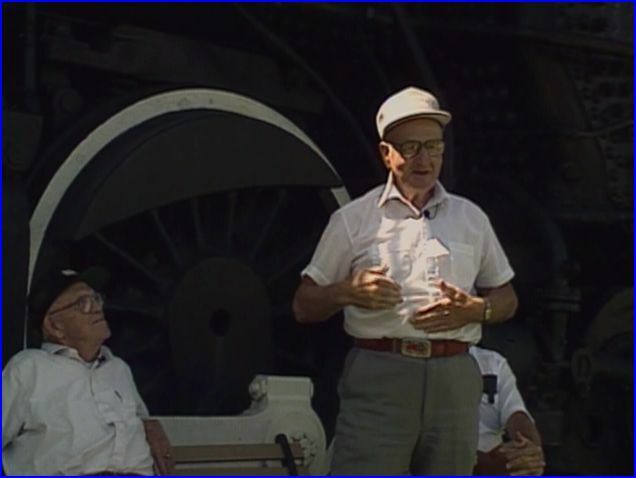 Nickel Plate employees add personality and their experiences of working on the railroad. Alva Morrison was a fine producer in his time. 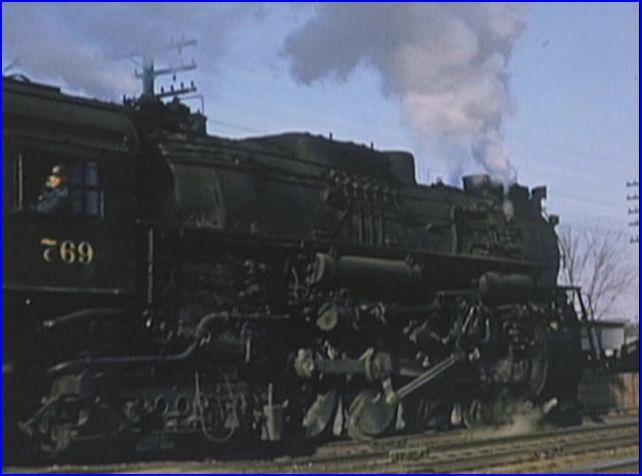 Here, his narrative, employee commentary and train sounds, are combined with all color film to tell the Nickel Plate story. No maps, there are occasional location graphics. There are a plethora of old scenes, although we frequently do not know exact locations. In fairness, they probably weren’t originally noted. Appears as all color 16mm film. Imagery ranges from very good to mostly excellent. The 2010 update also had a re-edit. Transitions may have been smoothed over, via fade to black. Cinematographer has good compositional skills. The weather and sunlight are sometimes a challenge. Considering most of the footage is from the 1950’s, nice work! 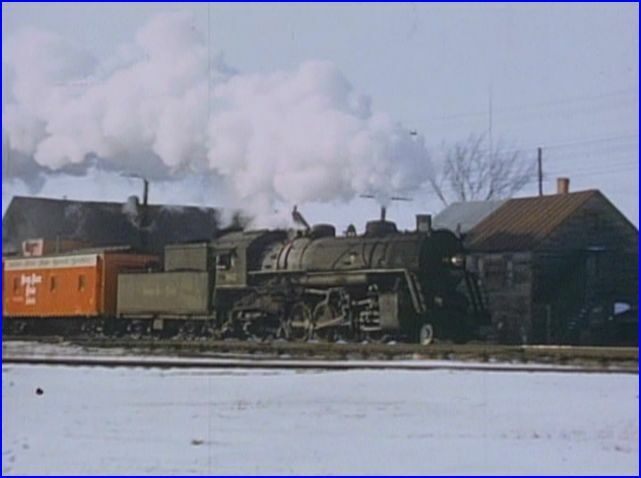 Steve Neff shot the few minutes of restored Mikado video, and it is excellent. Perishables were: high value, high revenue, priority business. 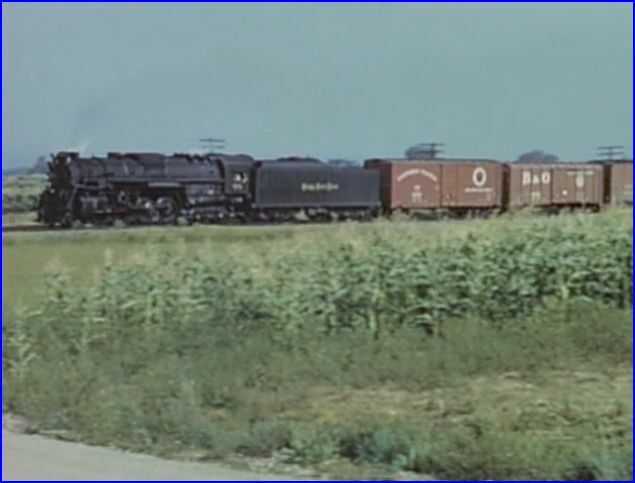 Nickel Plate sought this freight traffic. Plenty of meat reefers, produce reefers and livestock cars are evident. 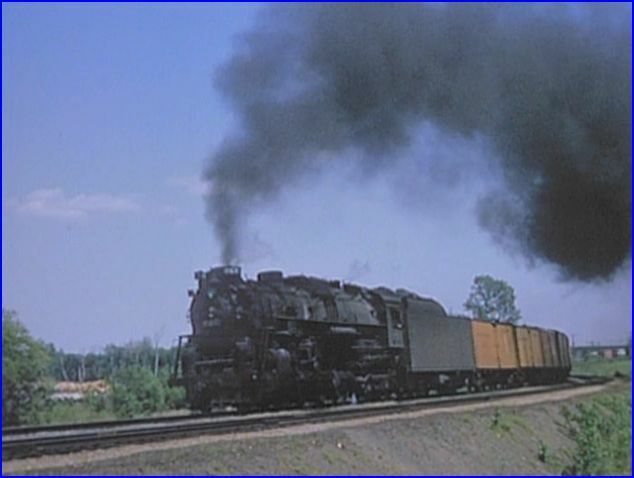 Double headers were Nickel Plate’s answer to multiple unit diesels ! 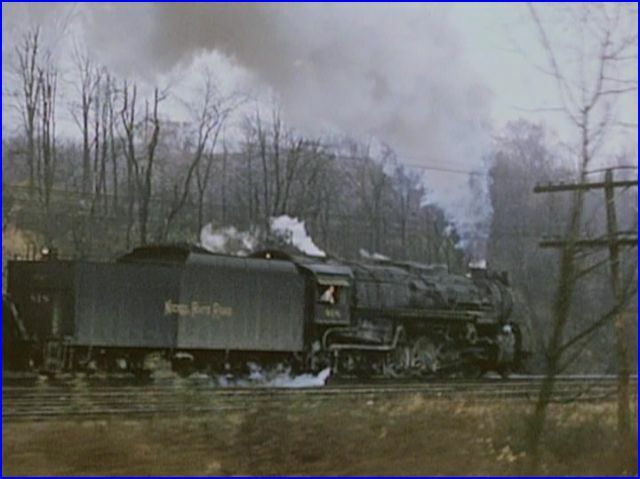 Berkshires are what made Nickel Plate Road High Speed Service famous. As we learn within, the stellar service had much to do with the employees and an advantageous profile. Demonstrating hand signals. This one is universal…. Let’s eat. On Nickel Plate, men were treated with respect. No harassment, just do your jobs. Morale was high and the men helped one another. Nickel Plate had a family atmosphere. This co-operative spirit bested competitors such as: New York Central, Pennsylvania, B&O and Wabash. 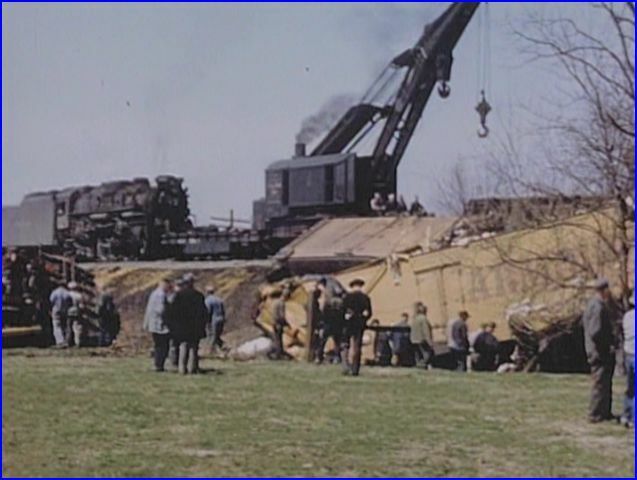 Sounds like today’s employers, could learn much from this highly successful railroad. Numerous, vintage era runbys are the bread and butter of this volume. He had a good eye for filming trains. 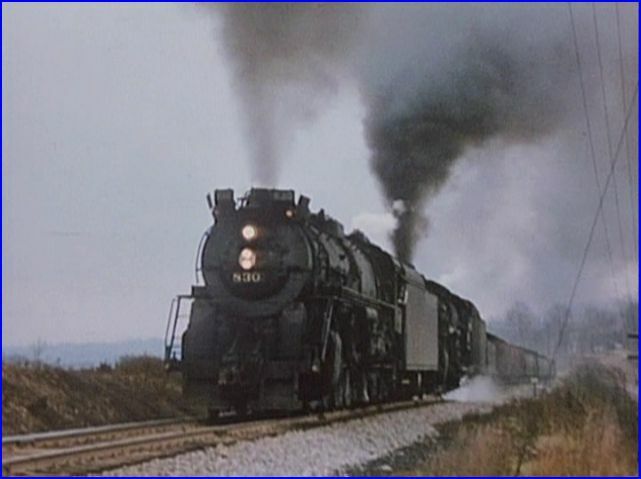 Lucky, that we can enjoy all of this steam era action. There are some freight cars to see. 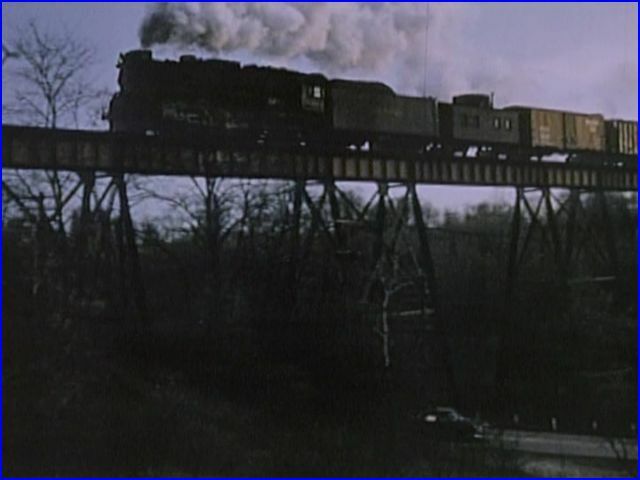 Model railroaders will appreciate the clarity of the film. 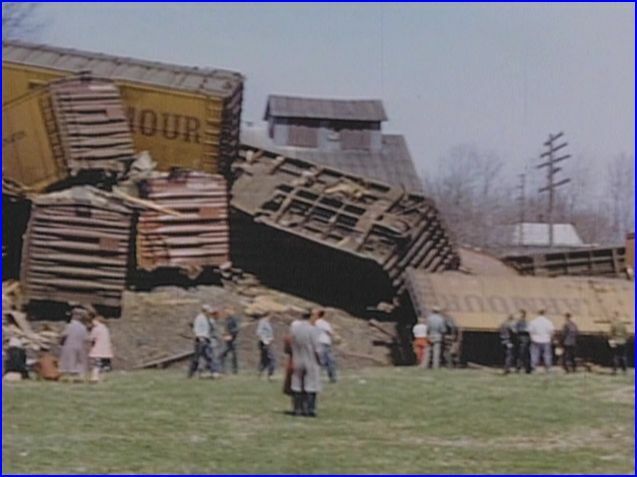 A massive pile of derailed cars. Berkshires and steam cranes are at each end of this disaster. Patient camerawork brings viewers into the scene. Locals walk freely, right up to the wreckage. No security, safety cones, or Do Not Cross line. Nickel Plate also had some older Mikados on the roster. This double header is paced by automobile. Bet the wife was holding the camera! NKP was late to convert freights to diesel. A testament to the men and steam equipment. 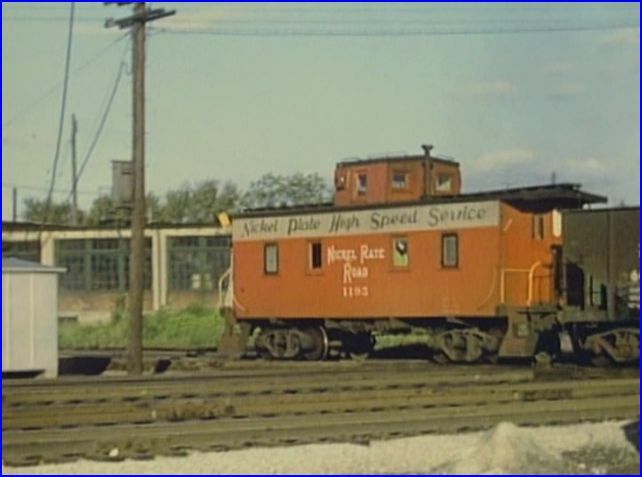 Railroad enthusiasts will find the red caboose fleet, nearly as memorable as the 700 class. Complete Nickel Plate Berkshire is an excellent Sunday River show. While the commentaries are a good inclusion, the cuts to the men can slow or interrupt, the fast paced program. Classic footage is 99% of the show. The 2010 remaster has this release looking and sounding great. This is the 1st of 4 volumes. All will be reviewed here, on ATVR. 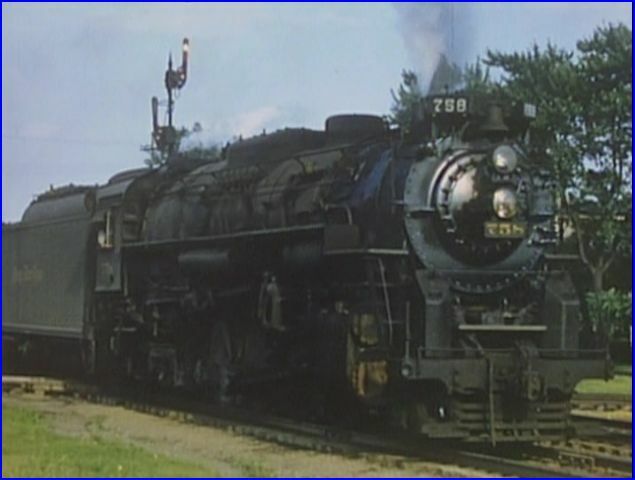 This entry was posted in ATVR Reviews and tagged American Train Video Reviews, Railroad, Steam, Steam engine, steam train, Train DVD, train video, transportation by William J. Hudson. Bookmark the permalink.